We started the Center for Knit and Crochet to document and preserve knitted and crocheted items. And of course we think about the renowned creators of these types of items like Elizabeth Zimmerman and Barbara Walker. But there are many more items out there from people who were never famous, but whose work is nevertheless valued by many of us. As I am knitting my fingers off making birthday and Christmas gifts for the little ones in my life, I remember those who made things for me when I was a child. My mother, my two grandmothers, and my great-grandmother were all creative women who knitted, crocheted, sewed and embroidered. 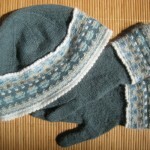 Some of their efforts were practical, motivated by necessity – mittens for cold little fingers or slippers for cold feet. Some were more more frivolous, like the doilies my great-grandma crocheted from fine thread. 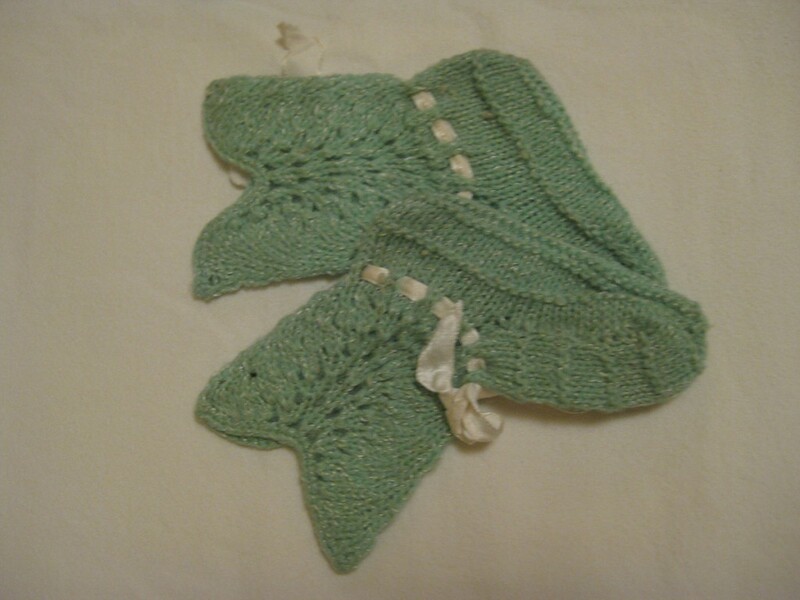 My mother’s mother, Grandma Lulu, was a marvelous knitter. She was left-handed and I remember her sitting me across from her and having me copy what she did as a mirror image, i.e. doing with my right hand what she did with her left. 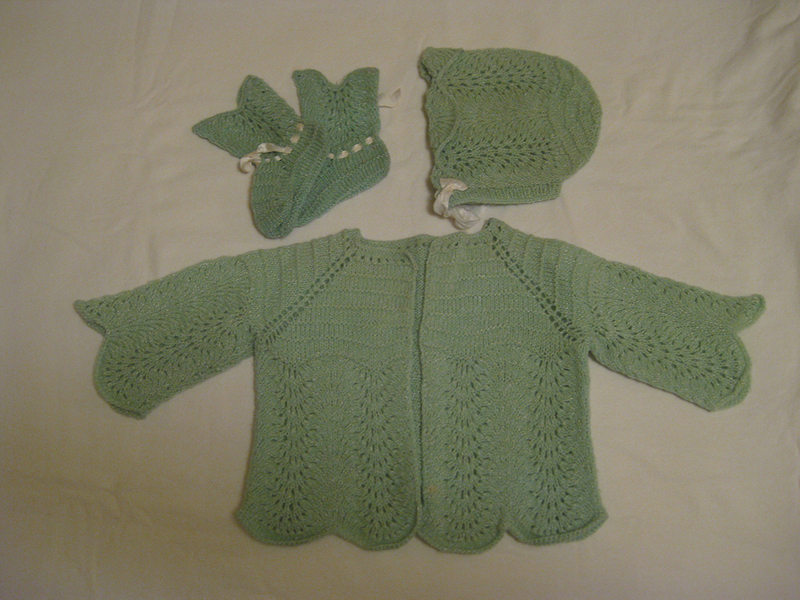 She made many beautiful items and I was a lucky recipient of some of them, like the baby sweater set shown with this post and the vest that’s shown on my stuffed bear, Growler (he used to make a growling noise when he was turned over). 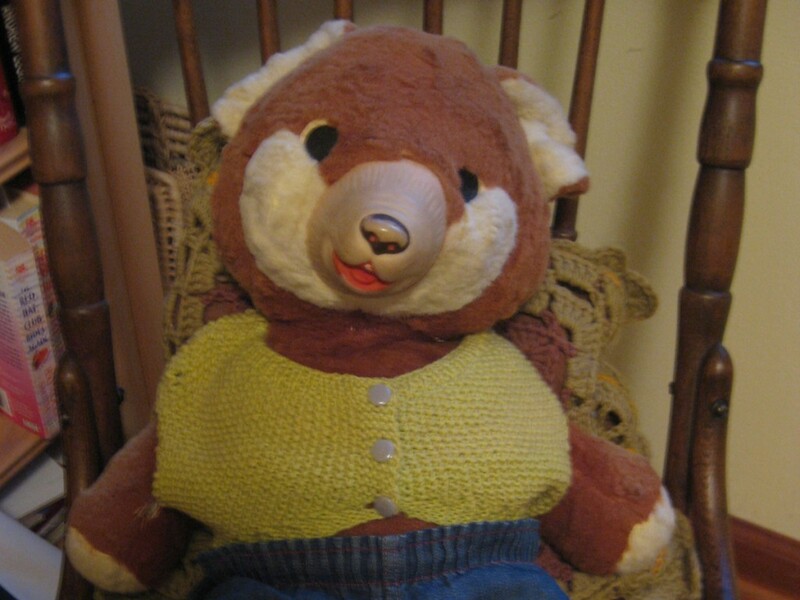 The vest was originally made for me, but I’m sure she’d have made one for my bear if I’d asked. She was that kind of grandmother. She was also a strong woman who raised two kids as a single mother and held a fulltime job as a bookkeeper. She inspired me as a woman as well as getting me started in my lifelong knitting habit. Sadly, she passed away just before my ninth birthday but I kept knitting and found others to help me along the way. And now I’m making things for the special people in my life and I wonder if they are kept and treasured, as I treasure these things from my grandmother’s hands. But it would be even better if the items I make are used and enjoyed, maybe even worn out. 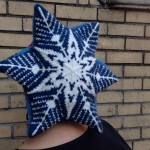 Even if they’re not kept or used, I still have the pleasure of making them, of feeling the yarn work through my fingers as my gift grows, and that’s really why I knit and crochet – for the joy of creation.